Sierra Leone has one of the highest rates of Teenage Pregnancy in the world. 3 in every 10 teenage Sierra Leonean girls are pregnant, according to UNICEF (2015 figures). This is why Cordaid’s Teenage Pregnancy Prevention Program supports the Government of Sierra Leone in preventing and reducing teenage pregnancies and pregnancy-related mortality and morbidity. In the past two years we empowered young people and their care-givers to make informed choices when it comes to their sexual and reproductive health. 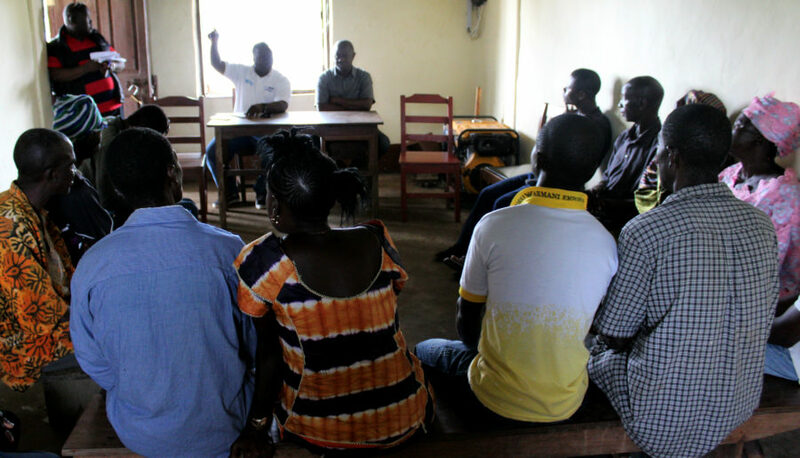 Cordaid did this in the districts of Bombali, Kenema and Pujehun, with a total adolescent population of almost 250.000 people. In this endeavour we closely worked with local partners Health Poverty Action, Christian Brothers and Planned Parenthood Sierra Leone. Our project is about equipping youth with the knowledge, skills, and attitudes to protect themselves. Without this, adolescents, especially young girls, are at risk of being exposed to teenage pregnancy and sexual exploitation. We combine activities both on the demand and on the supply side of the health sector. Our aim is to reduce teenage pregnancies and decrease the incidence of sexual and gender-based violence. helped to set up adolescent friendly corners in 15 health facilities, where young people can gather comprehensive SRH information and get SRH services. trained and helped to establish district and chiefdom multi stakeholder steering committees. These committees now hold government and service providers accountable in providing sexual reproductive information and education. Cordaid and partners continue to play an important role in expanding access for young people to sexual and reproductive health and rights services (SRHR). Through extensive mobile outreach activities, young people have increased access to various SRH services. And community health workers and project staff raise awareness about family planning. We will also continue to provide quality service delivery for in and out of school adolescents. We do this by providing comprehensive SRH education, training health staff in ‘youth friendly’ techniques, and advocacy campaigns to promote and protect the sexual and reproductive health and rights of young people. Raymond Jaia, Senior Program Officer for Health highlights the importance of the intervention in these communities: “The Teenage Pregnancy Reduction Project is about equipping youth with the knowledge, skills, and attitudes necessary to protect themselves against unwanted pregnancy. And about providing access to reproductive healthcare services. Without this, adolescents, especially young girls, are at risk of being exposed to teenage pregnancy and sexual exploitation”. Read more about Cordaid’s Health care programs. Read more about what we do in Sierra Leone.